Essie polish always has a colour for everyone! Their nail polish is very smooth, creamy, & resistant to chipping if worn under a top coat. I'm also in love with their bottle design because they're all nice and square and easily presentable. The formula of essie polish is quite unique, it's watery consistency allows it to self-level and not worry about the hassle of applying evenly. In my collection, I tend to lean towards the gloomy fall colours with a few pop of brights and couple of glitters. 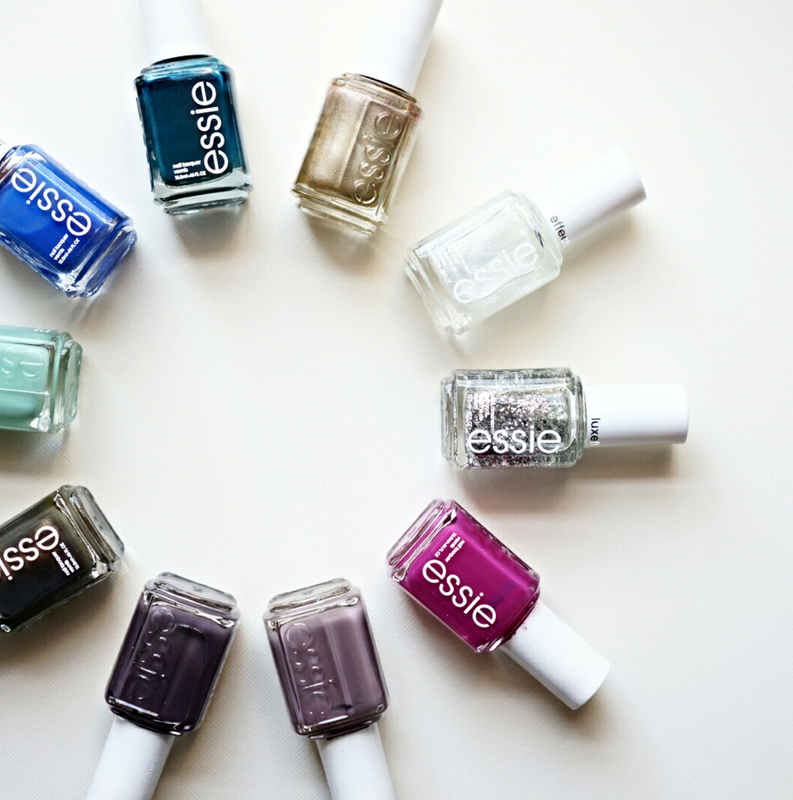 What's your favourite colour by Essie? For some reason, I've only ever bought one nail polish from Essie; it was a shade called "Ruby Slippers," from a million years ago. Lol. I only have one essie nailpolish, Wicked, but I LOVE it!! Beautiful shade :) and yes I love the new brush heads now! I love Essie for their great colors. My fave is a bright pink called Haute in the Heat.